Homeowners have turned to family-owned Gerald Jones Company for their home improvement needs for three generations. There’s a reason we’re known throughout the Raleigh-Durham area as the home improvement contractor that gets the job done right – on time, every time. If you have been dreaming of updating your home, you’ve come to the right place to beautify, protect and get more enjoyment out of your most important investment. AKR Builders has been accountable to our customers for more than ten years, and completely focused on their satisfaction. That’s why we employ only experienced, qualified, top designers who take the time to truly understand what you want. As a local business, we’re a member of the Chamber of Commerce, Better Business Bureau, and the Greensboro Merchants Association. Whether your dream is big or small, we will help finance it. Credit cards are always welcome. Call us at 336-638-9489 or visit our website at <a rel="nofollow" target="_blank" href="http://www.akrbuilders.com/free-quote/">http://www.akrbuilders.com/free-quote/</a> to schedule a complimentary estimate. Roofing and home exteriors business started in 2016 specializing in residential roofing and home exteriors. Welcome to Total Roof Repair, your solution to roof repairs and other services. We offer a wide range of commercial and residential roof repairs, attic ventilation, skylights, cleaning, coatings, gutters, caulking, and preventive maintenance services. Serving large and small towns in the Heart of North Carolina. From shingle roof repairs to roof restoration after a storm, you can count on Clayton Roofing for all of your repair and installation needs. 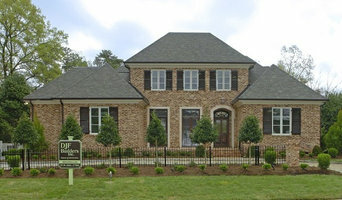 We have served thousands of residential and commercial properties in the Clayton, NC area, and we pride ourselves on meeting the needs and exceeding the expectation of our customers. With over 20 years of experience, you can expect us to understand your needs, work around your busy schedule, and keep the job site clean during the project. We work with you to ensure that you have the perfect design and desired choice of materials to fit your wants, needs, and budget. Our courteous and knowledgeable staff is at your disposal if you are unsure about what you need to get your residential or commercial roof into to superior condition. We listen to your requests and create a project that delivers exactly what you want, down to the smallest details. From roof construction to leaking roof repairs, we create roofing projects that are simple and cost-effective for our customers. 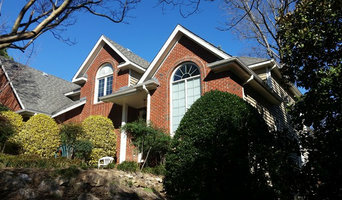 If you want to bring beauty and functionality to your home or business, contact Clayton Roofing. 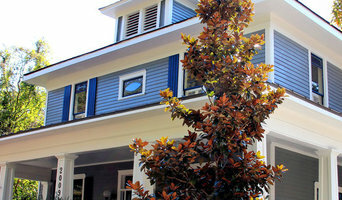 Specializing in commercial and residential roofing, DTL Roofing, Inc. has over 30 years of experience in the industry. Using only the highest quality materials, the experienced and certified staff at DLT Roofing, Inc. is committed to completing each job in a timely manner. All of the roofing technicians continue ongoing training and safety seminars to ensure DLT is providing the most up-to-date quality and service both on and off the job. We are fully licensed and insured and offer warranties and insurance for all of our services. With fairly priced products, DLT Roofing, Inc. has the perfect solution for your home or business roofing needs. We are dedicated to providing top of the line customer service, and with over 30 years of experience we have the knowledge to guide and advise you to the roofing solution that best fits your needs and budget. We’re happy to answer any questions and provide a free quote. Legacy Construction & Roofing are experts in the repair of hail and windstorm damage and will assist you in making an insurance claim the cover to cost of your damages. But the most significant reason to use LEGACY is our superior knowledge and unsurpassed craftsmanship of roofing repair and replacement. 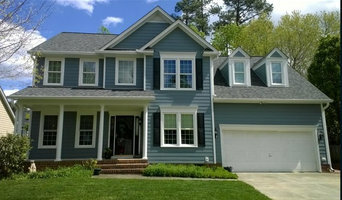 Quality Remodeling is a roofing contractor / roofer serving the Greensboro, NC area since 1987. Services include Roofing, 24 Hour Emergency Roofing, Roof Installation, Roof Repair, Replacement Windows, Shutter Installation, Vinyl Siding, Wood Siding, Aluminum Siding, Storm Damage, Roof Inspection, Shingle Roofs, Roof Vents, Gutters, Gutter Repair, Gutter Guards and Flashing. Serving the Greensboro and Winston-Salem NC area. Protect your family from the elements with a durable roof. Universal Contracting in Durham, NC is a locally owned, professional roofing services company that have been serving homeowners for more than 10 years. We take pride in our proven reliability and unquestionable integrity. Our staff members are experts in the roofing sector, and we strive to deliver outstanding results every time. We will also keep you educated on your specific project. It’s your home, and you deserve to be informed every step of the way.